Animals have always been an inseparable part of humans and their existence. Revisiting the mossy tablets of history, we can observe the role they’ve played in vitalizing various civilizations and the companionship they’ve provided to man through the worst phases. I love animals, honestly, despite being a carnivore and I pretty much prefer being in vicinity with one rather than other humans, because “constantly speaking isn’t necessarily communicating” and animals through the most basic physical actions convey emotions that most people don’t bother to. 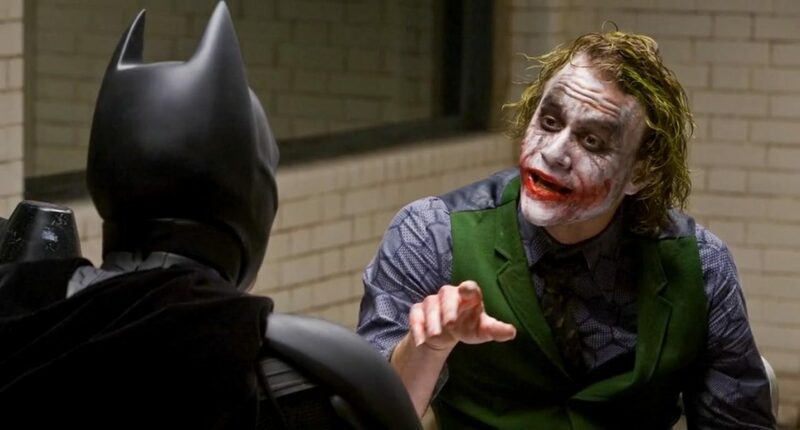 Movies have used animals for various purposes, horror movies depict their wild side, documentaries treat them as characters, comedies have used them in supporting roles and epics have bestowed grandeur upon them. 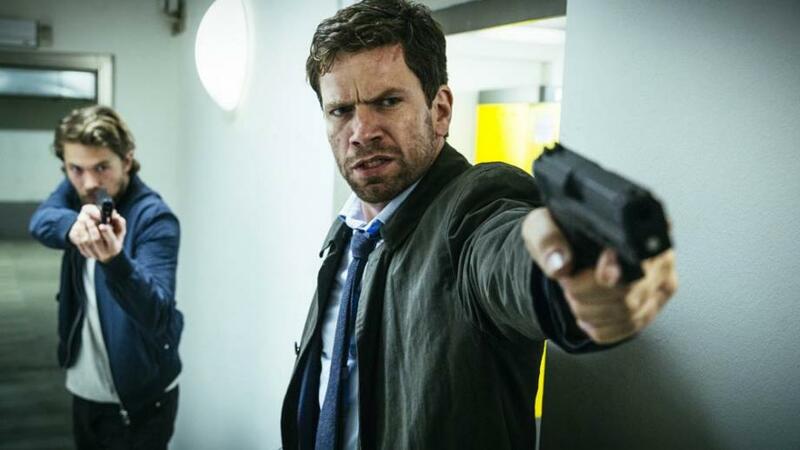 But there are some movies that treat them as a person, because it is necessary to create an environment on screen that is relatable to audiences, thus being successful in spreading the message that they are capable of going through same emotions but incapable of expressing it in a manner rightly understood by us humans. So, despite being an avid viewer of wildlife documentaries, I have listed below some movies that have got their storytelling ability right. With that said, here is the list of top animal lover movies ever. You can watch some of these best animal movies on Netflix or Amazon Prime. Many of these animal movies for kids. I love my bacon crispy and this is probably why I loved the sharp wittiness of ‘Babe’, a movie about a pig that grows up to herd sheep. It’s a family movie and it has melodrama, but not for a second does it try to be those annoying kid movies where everyone squeal and pretend to be insufferable know-it-alls. Seriously, that Bugs Bunny sass doesn’t work all the time. Babe can be considered a coming-of-age movie concerning both humans and pigs (the farmer and Babe) and frankly, no matter how old you maybe, there are always stages in life where you develop or grow. Babe portrays a very unique visions and abolishes the “stereotypes” put on animals, and this is a very difficult job since you may end up being too preachy. ‘My Dog Skip’ holds a special place in my heart, because it was the first English language movie I had watched. It’s a brilliant coming of age drama that focuses on one thing that most movies today opt to neglect, i.e, a companion that stays with you as you age. It doesn’t have a great structured plot and does skip around Tom Sawyer’s work, but when it completely focuses on the relationship between Skip and the boy, there isn’t anything quite like it. Skip is like a memory in the movie, something the boy evidently holds very dear. Set in the 1940s when technology had not infiltrated every corner of civilization, Skip is not just a pet and seems to provide what the boy’s parents or friends couldn’t. ‘Okja’ frankly irritated me to the extent where it transformed into a catalyst for my hair fall and turned my brain as hot as a slaughterhouse. But then, being an ardent carnivore and a person who dislikes summer blockbusters, I may be pretty unfair in its assessment. Okja concerns itself with Okja, an artificially mutated pig that was created to resolve the worldwide hunger and carbon emission issue. I personally agree with the pros, but the cons include very extensive commercialization by the corrupted owners, and though Okja fails to be conclusive, it does portray the unfaltering love between a girl and her best friend. 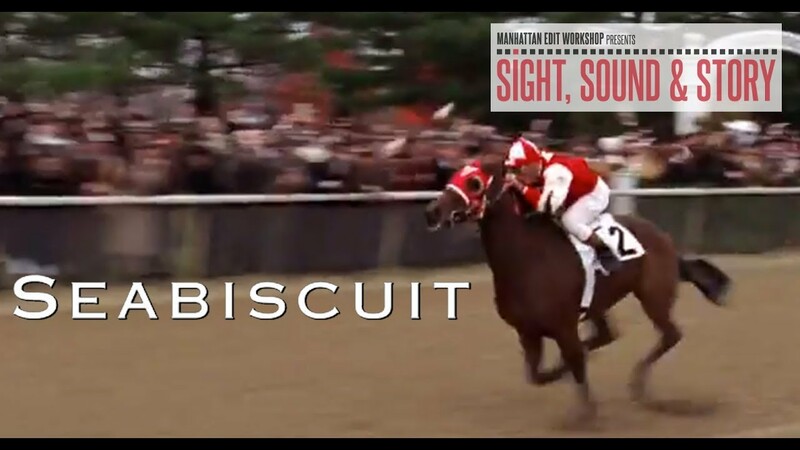 For people who aren’t aware, ‘Seabiscuit’ was a star in USA during the Great Depression and the years predating WW2 for his unhindered sheer will. He became a racing icon after being a complete ‘underhorse” and considered unfit for the sport. It explores the lives of both the horse and its trainers, and never merges with exaggerated melodrama like many historical epics do and portrays the sentiments with austerity, quite typical of its setting. Though I’m not a fan of Marley and Me, primarily because of the execution, but the premise and idea are delightful, and I cannot see why a casual movie goer wouldn’t love it. People who’ve owned pets, especially dogs, and witnessed their humble lifetimes and their passing away, would find this very toughing and stimulating. A film starring Owen Wilson and Jennifer Anniston will have the rom-com elements most of us despise, but the cute labrador Marley never fails to light up the stage with his interactions. Wikipedia terms killer whales as “apex predators”, which means there are no other animals that prey on them. Humans are animals too technically but they exploit, not prey. Prey is a word too “wild”, too close to the nature to be associated with a species that are so distant from its fundamental values. We see killer whales tearing apart other fish on television, but one grizzly depiction of human murder on screen and you get a certification or cut. A brilliant way to inculcate the “beast vs human” stereotype. 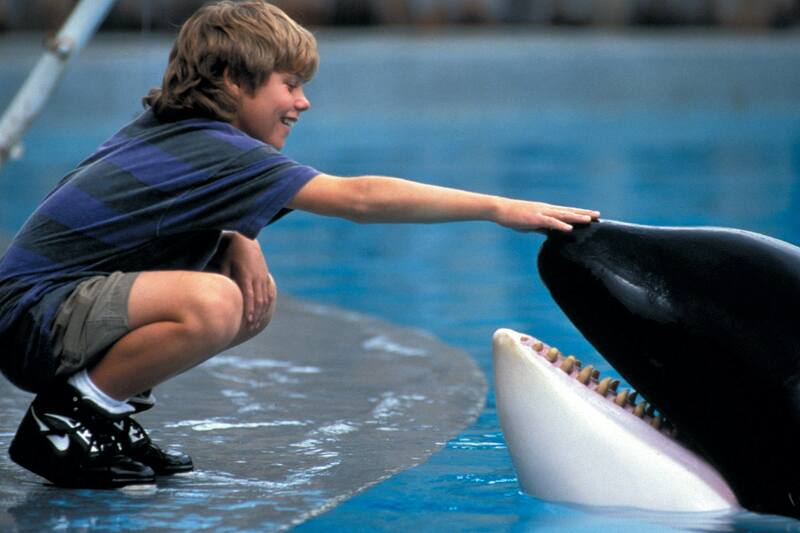 It’s intriguing to watch this brilliant role reversal, where, though clichéd, the exploitative nature of corrupt individuals is exposed as they decide to kill a friendly killer whale for the insurance money while a young boy defies them to send it to back to the sea. This film features a protagonist who’s so close to animals, he acts and lives like one, jumping across branches, hunting like a skilled predator and communicating with wolves and bears. Though Disney has also adapted ‘Tarzan’, but it lacks the innocence and love that blossoms in Mowgli, despite living in the wild jungle. Though it may be look extremely fantasized, its realistic quality lies in its themes and dialogues, only its conveyed through animals. 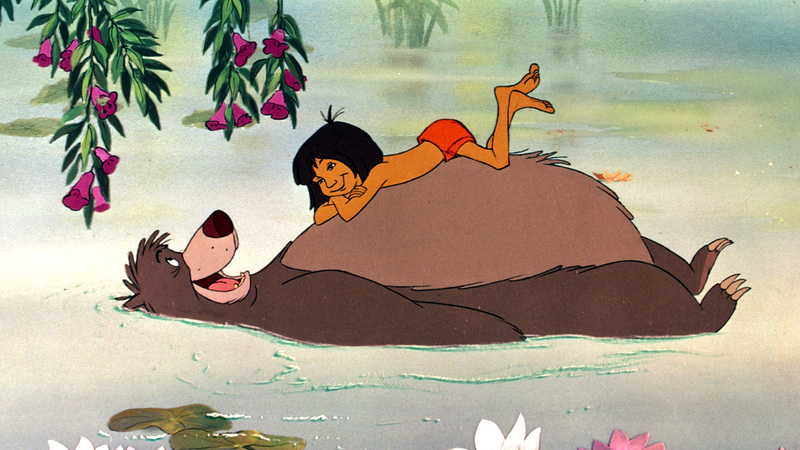 As Mowgli goes through a very vital stage of life, you see the animals guiding them despite the knowledge that they may lose him in the process. 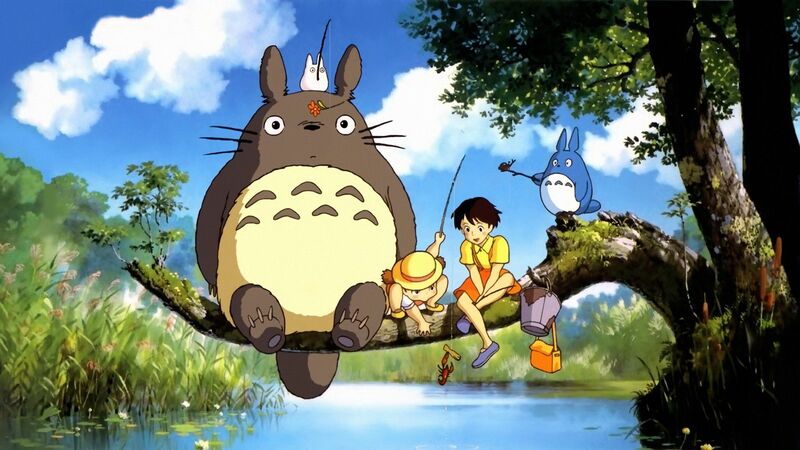 Though ‘My Neighbour Totoro’ toys around with the magic of Miyazaki’s world, the story takes place in a fantasised realm of forests where spirits and fairies resemble animals. I’ve always loved the traditional aspect of Japanese films, they’ve always strived for contemporariness through visual and aural techniques, in this case animation, but have stuck to the themes that’s been flowing through their culture for centuries. The movie has no “good vs evil” conflict or complex characters or theme like Miyazaki’s ‘Spirited Away’, it simply tries to capture post war Japan through the lives of 2 girls, and that’s the reason it’ll always stay relevant. Carol Ballard is one of America’s most underrated filmmakers. His intentions are Spielberg – ian, to create something that can be emotionally experienced, but his execution is reminiscent of Bresson, a very minimalistic approach where there’s nothing more effective than simplicity. The movie follows a biologist as he travels to the Canadian arctic to study the declination of caribous and the exploits of the wolves that allegedly hunt them. The movie reminds me of the Liam Neeson movie, ‘The Grey’ but doesn’t portray wolves as menacing manhunters. It’s a hypnotic docudrama that observes as beings that have been a part of nature for eons, are now being separated from it. 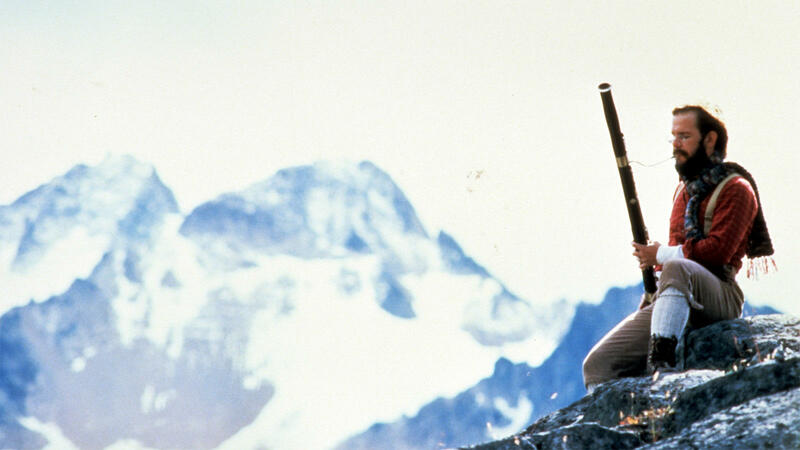 ‘Duma’ is a criminally overlooked movie, and it embarks on an adventure that most fantasy movies can’t compete with. It follows a young boy and his pet Duma, as they travel across the Kalahari Desert to send the cheetah back to the wild. Duma uses no CGI, and it is fascinating to see the rapport between the young actor and the cheetah, the understanding between a child and a predator as they calmly stride through the vast desert, in the face of death. ‘Planet Earth’ is superb, and I believe it’s the greatest achievement made in the line of wildlife documentation, and also the most expensive one. The 2006 version was shot in high definition while the 2017 series in 4K, and both covered the most extensive research ever recorded, covering almost all the major habitats across the world. The cinematography is unreal, as every small moment is captured so flawlessly in natural light, and since nothing is predictable in the wild and cannot be staged, this must have been a painstaking process. Also, it’s narrated by David Attenborough, one of the greatest presenters in communication history, having been a part of wildlife documentaries since the 60’s. ‘Ratatouille’ is my favorite movie on the list and it’s amazing how the filmmakers at Pixar understand the universal nature of their themes, and are able to represent it through relationships involving a kid and old man, robots, a boy and his toys and in this case between a rat and a young lad. 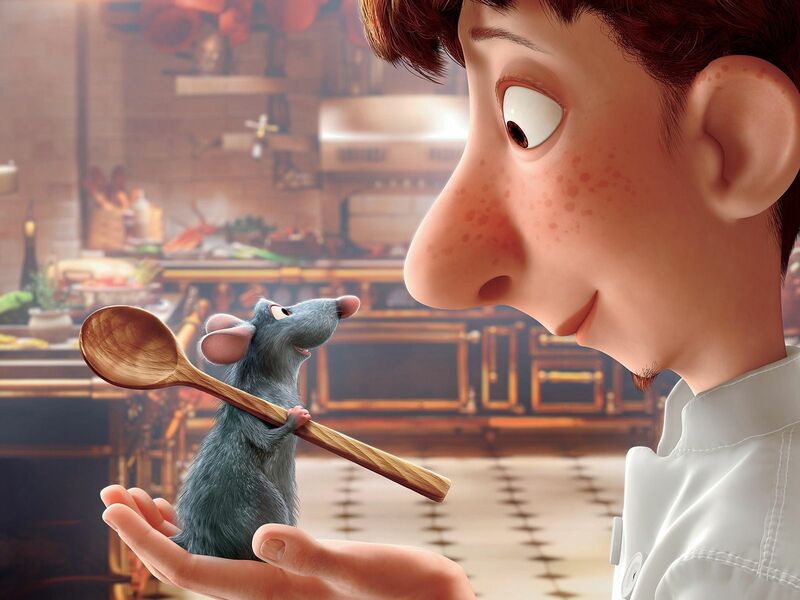 In the practical world, undomesticated rats are a menace to kitchens or any place that requires constant hygiene, but Ratatouille tells the story of one particular mouse who defies his genetics by striving to become a cultured chef. The movie’s also very inspiring as he beats all the odds with the help of his human friend to finally be successful at the only thing he loves, food.